If youâve ever wanted to own a home in Vail, now is your chance. 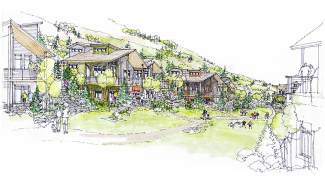 Help the town of Vail create a buyerâs profile for development of Vailâs newest neighborhood in West Vail. Stop by the Chamonix open house at the Grand View Room in Lionshead Village any time between 11 a.m. and 7 p.m. Wednesday and share your insights about affordability, square footage and neighborhood amenities. Canât make it? Be sure to take a buyers survey to give your feedback at www.vailgov.com/chamonix. For more information, call 970-479-2139.